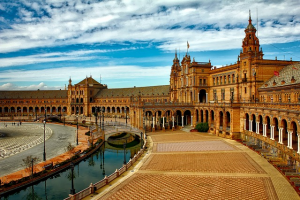 The Andalusian Center for Developmental Biology at the Pablo de Olavide University in Sevilla, Spain, has become an important center for Coenzyme Q10 research. Shown here: a picture of the Plaza de España in Sevilla. The absorption of Coenzyme Q10 is even more complicated than we realized. Absorption of Coenzyme Q10 from supplements is difficult. Okay, we know that. Dr. William Judy, SIBR Research Institute, has explained why that is. The formulation and composition of the Coenzyme Q10 capsule are the most important factors in the absorption of the Coenzyme Q10 molecules. Recently, I watched a video of a presentation by Professor Guillermo López Lluch, University of Sevilla, Spain. Dr. López Lluch was addressing the members of the International Coenzyme Q10 Association at a symposium in Bangkok, Thailand. He enumerated several factors that may affect the absorption of Coenzyme Q10. I would like to summarize Professor López Lluch’s remarks here, interspersed with comments from Dr. William Judy, SIBR Research Institute. The University of Sevilla studies show clearly that individuals with low baseline Coenzyme Q10 concentrations in plasma had lower area under the curve Coenzyme Q10 concentrations in the 24 – 48 hours following supplementation. Area under the curve is the researchers’ measurement and plotting of the plasma Coenzyme Q10 concentrations over time. Individuals with low baseline Coenzyme Q10 concentrations in plasma also showed lower maximum plasma Coenzyme Q10 concentrations (Cmax). Typically, the concentration of Coenzyme Q10 in the plasma will show a peak somewhere between 5 and 8 hours following the ingestion of the supplement. Why? We do not know why some individuals have lower baseline Coenzyme Q10 concentrations when they are recruited into an absorption study. Are the reasons genetic or environmental or a combination of both? We know now that the people with the lower baseline plasma Coenzyme Q10 concentrations will typically have more difficulty absorbing the supplement. In the studies done by Professor López Lluch’s research team, between 10% and 40% of the individuals responded less well to the Coenzyme Q10 supplements than did the rest of the study participants. These lower absorbing individuals may need to take more supplements spread out over the day, e.g. morning and evening or even breakfast, lunch, and dinner. Heart failure patients may want to start out with 400 milligrams of Coenzyme Q10 daily for the first 3 – 4 days, and then to continue with 200 milligrams of a well-documented Coenzyme Q10 daily. There will be a better absorption rate if the dosages are spread out over the 2 – 3 meals. Dr. William Judy reminds us that we produce less and less Coenzyme Q10 with increasing age once we pass from our 20s into our 30s and continue into middle age and old age. Our cells, our heart muscle cells in particular, need Coenzyme Q10 for cellular energy production and for antioxidant defense against harmful free radicals. Professor López Lluch has seen, in the University of Sevilla studies and in other studies, that the addition of antioxidants and other compounds such as sterols seems to reduce the absorption of dietary and supplemental Coenzyme Q10. Professor López Lluch speculates that Coenzyme Q10 and vitamin E could be competing for absorption in the small intestine. Alternatively, he suggests, the lipid substances could be competing for transport in the blood. How and why vitamin C might inhibit the absorption of Coenzyme Q10 is not yet known. Dr. Judy’s thoughts: Dr. Judy’s own work and the work of colleagues confirm this information. Dr. Judy has done and seen studies in which vitamin C and vitamin E, added to the Coenzyme Q10 supplement, have reduced the absorption of the Coenzyme Q10 by 22% – 26%. Dr. Judy’s hypothesis is that these substances interfere with the lipid carrier for the Coenzyme Q10. Dr. Judy knows of research that shows that vitamins C and E convert the ubiquinol form of Coenzyme Q10 in soft-gel capsules to the ubiquinone form by as much as 30%. Now, it seems logical to ask whether ingesting vitamin C or vitamin E supplements simultaneously with Coenzyme Q10 capsules can have a similar inhibitory effect on the absorption of the Coenzyme Q10. Dr. Judy suggests that people taking vitamin C and/or vitamin E may want to take those supplements at least four hours distant from the time of taking the Coenzyme Q10 supplement. Professor López Lluch and his research team have not tested to see if fish oil, ingested together with Coenzyme Q10, promotes or inhibits the absorption of Coenzyme Q10. It could be that the omega-3 fatty acids in fish oil compete with Coenzyme Q10 for transport in the lipoproteins in the plasma. Dr. Judy’s thoughts: At SIBR Research Institute, Dr. Judy did a year-long study some years ago for a private contractor. The study showed that fish oil extensively inhibited the absorption of the Coenzyme Q10 dissolved in a lipid carrier. Given Dr. Judy’s experience, it seems wise to take the fish oil supplement four hours distant from the taking of the Coenzyme Q10 supplement. The University of Sevilla studies do show that the use of soybean oil, rich in lecithin, can help the absorption of Coenzyme Q10. All of these factors may affect the absorption of Coenzyme Q10. 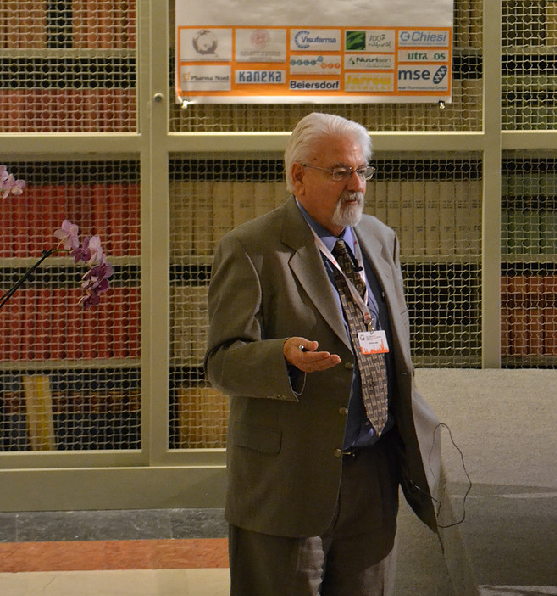 Professor López Lluch says that the evidence for an influence of some serum factors comes from in vitro studies. The absorbed Coenzyme Q10 is incorporated mainly into the LDL (LDL = low-density lipoproteins, consisting of an outer edge of lipoprotein and a center of cholesterol). It is primarily from the LDL lipoproteins that our cells get the absorbed Coenzyme Q10 from the blood. A certain minimum of LDL lipoproteins is needed for carrying the Coenzyme Q10 into the cells. That is what we want. Absorption into the lymph and then into the blood is not enough. It is important for the absorbed Coenzyme Q10 molecules to be transferred to the cells and the tissues. As I have reported in an earlier article, the Coenzyme Q10 researchers at the University of Sevilla have discovered age-related differences in the response to physical activity and in Coenzyme Q10 concentrations. Younger individuals engaging in physical activity tended to have lower levels of plasma Coenzyme Q10 and lower Coenzyme Q10/cholesterol ratios than did older individuals who were also engaged in regular physical activity. Older individuals who engaged in more intense physical activity had higher ratios of Coenzyme Q10 to cholesterol in plasma and higher concentrations of Coenzyme Q10 in plasma than did older individuals who exercised only moderately or were sedentary [Del Pozo-Cruz 2014]. The crystalline Coenzyme Q10 raw material cannot be absorbed. The Coenzyme Q10 crystals will not dissolve at body temperature in the stomach and small intestine. The absorption cells in the small intestine can handle only Coenzyme Q10 dissolved to single molecules. Coenzyme Q10 supplements with crystallized or re-crystallized Coenzyme Q10 inside the capsules will yield very poor absorption. The manufacturer with the best method of keeping the Coenzyme Q10 crystals dissolved inside the soft-gel capsules will realize the best absorption. Better absorption of Coenzyme Q10 can lead to reduced oxidation of LDL lipoproteins and thus to reduced risk of hardening of the arteries (atherosclerosis). The work of Professor López Lluch and the Coenzyme Q10 researchers in Sevilla and the work of Dr. Judy bring home the point that we need to see “full-range documentation” whenever we are purchasing Coenzyme Q10 supplements. If we pay attention only to absorption claims, then our only considerations will be price and the amount of absorbed Coenzyme Q10 per dollar spent. More important is documentation of significant heart health benefits in randomized controlled studies. I hope we can all agree on that. López Lluch, G. (2017, February 21). CoQ10 pharmacokinetics [Scholarly presentation]. Bangkok, Thailand. Please click here for additional information about Coenzyme Q10 supplements with full-range documentation. I am confused about the research indicating that vitamin C, vitamin E, and fish oil interfere with the absorption of CoQ10. If this is true then why is d-alpha tocopherol listed as an ingredient in the highly recommended Bio-Quinone Active CoQ10 product? Also for anyone who takes a large variety of supplements, especially the ones listed above, it is highly impractical to keep them separated from the CoQ10. I always heard that the absorption of CoQ10 is enhanced by taking them with at least some fat. If that is true then why would fish oil block absorption? One solution would be to take the CoQ10 on an empty stomach but that goes against recommendation to take it with at least some fat. Is it possible that the amount of vegetable oil fat in a superior product like Bio-Quinone Active CoQ10 would be sufficient to maximize absorption on an empty stomach?